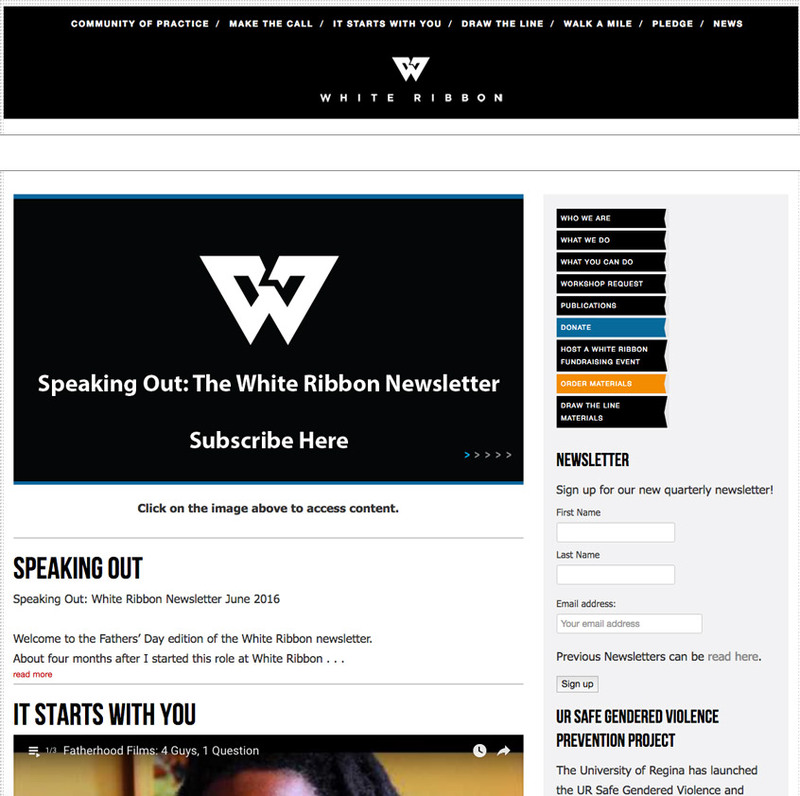 The practices we have labelled as promising emerged from the work of more than one CoP partner, and White Ribbon. 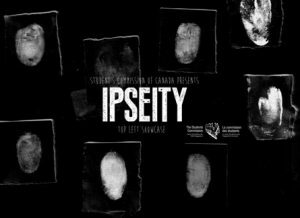 These practices also build upon existing research and literature in gender-based violence prevention. 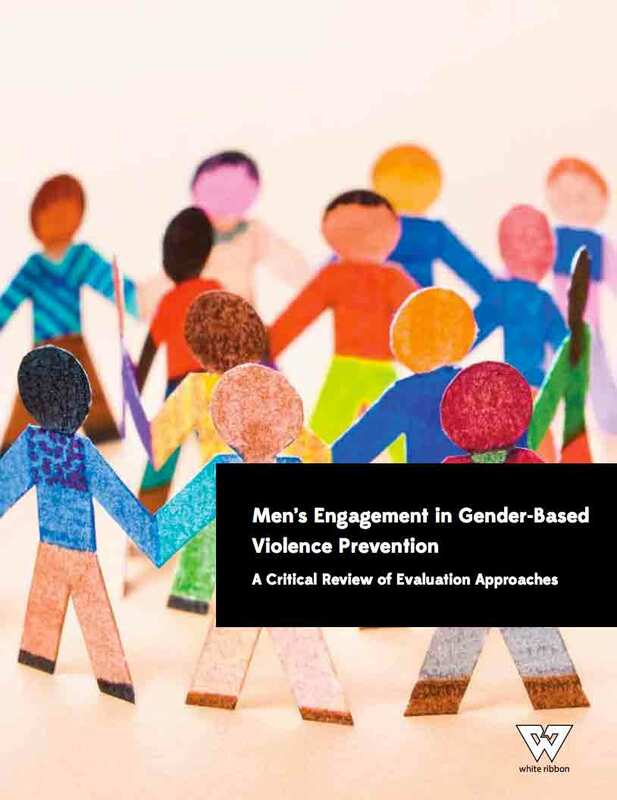 Ensuring that all male engagement efforts and initiatives are accountable to women’s organizations is essential, as they have paved the way for anti-violence work, and equality for women and girls. Women-serving organizations are also closely connected to the contemporary voices and needs of women. Considering the scarcity of funds for violence against women’s organizations and shelters, prevention initiatives should seek new funding venues, and not access funds specifically for service provision for survivors. 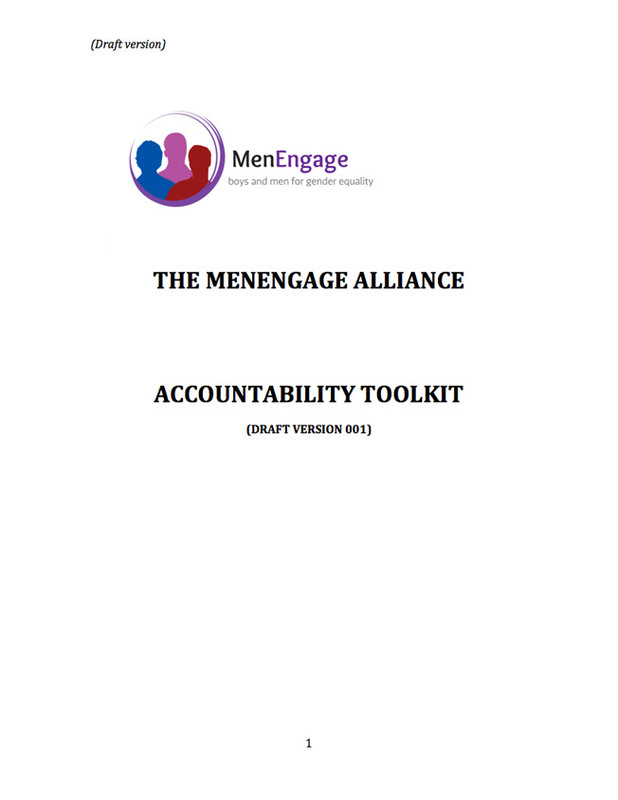 Some actions that can be taken to build accountability are ensuring adequate funding for women’s organizations’ representation and participation in the male engagement initiative, which can include participation in working groups/committees, confirming that messaging is gender transformative, as well as enhancing the visibility and work of local women’s organizations. Engaging male-identified people, men and boys in gender-focused dialogue and action requires strength-based and positive messaging. Exploring the benefits of gender equality (ie. enhanced personal relationships, healthier and non-violent sense of self, being able to think beyond the “man box” etc.) can enable men and boys to not see gender equality as a “zero-sum” game, and that gender equality can benefit all of us, across the gender spectrum. Using strength-based models can also spark interest, and inspire men and boys to take emotional ownership (BNC, BRAVE program) of gender equality, and their role promoting healthy masculinities in all facets of their lives. Exploring concrete ways which men and boys can support survivors of violence, and GBV response is essential in fostering allyship. Exploring gender-based violence prevalence and root causes is inherently complex. Using the power of the arts, including film, radio, artistic drawings and paintings can be an inspiring forum to connect deeply to these issues. Students Commission of Canada led an arts showcase “Ipseity” engaging young artists, storytellers, dancers and videographers from across Canada to share how they challenge gender stereotypes and toxic masculinity. Through the male engagement program with Les EssentiElles, they carried out training with five male facilitators regarding consent and sexual assault for the 2013 summer music festival season. 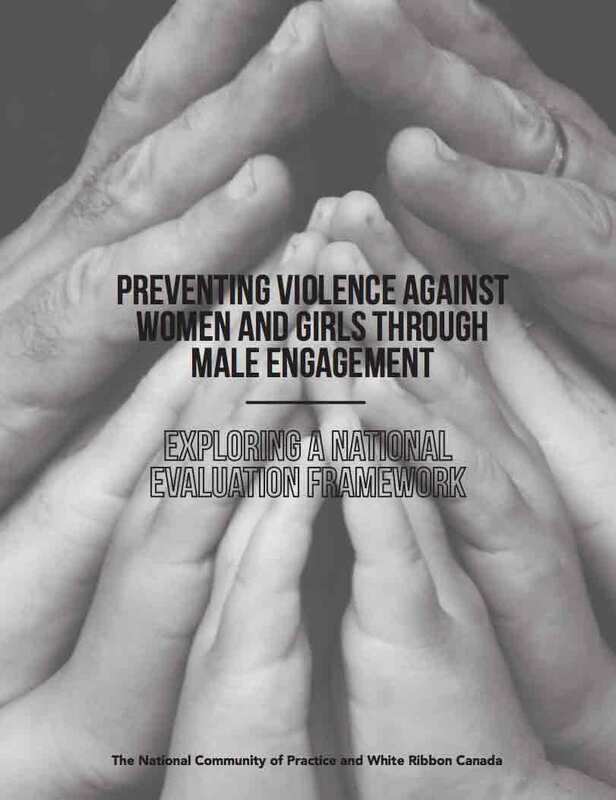 After training, facilitators reported an increased level of knowledge of violence against women and girls (in particular, sexual assault), and increased skills and confidence in engaging other men on issues of sexual assault and consent. Consider theatre and arts-based organizations which also have a social mission to incorporate into your Gender-based Violence prevention programming. 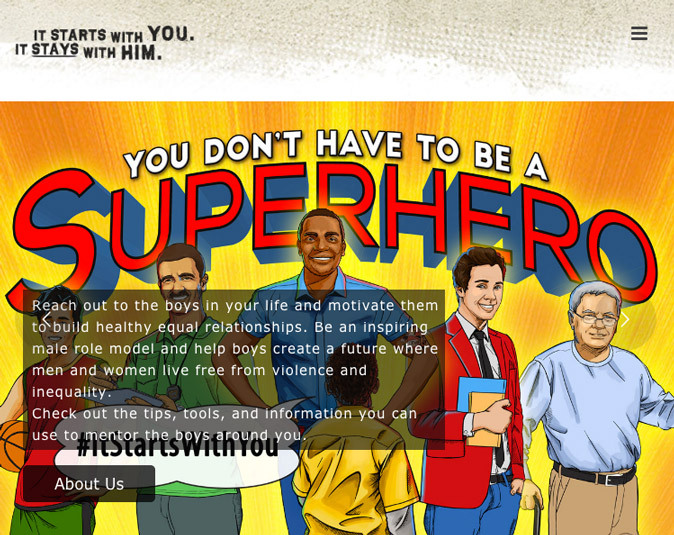 Many of the CoP partner’s programming incorporated the use of male role models to encourage and sustain conversations on gender-based violence and healthy masculinities. 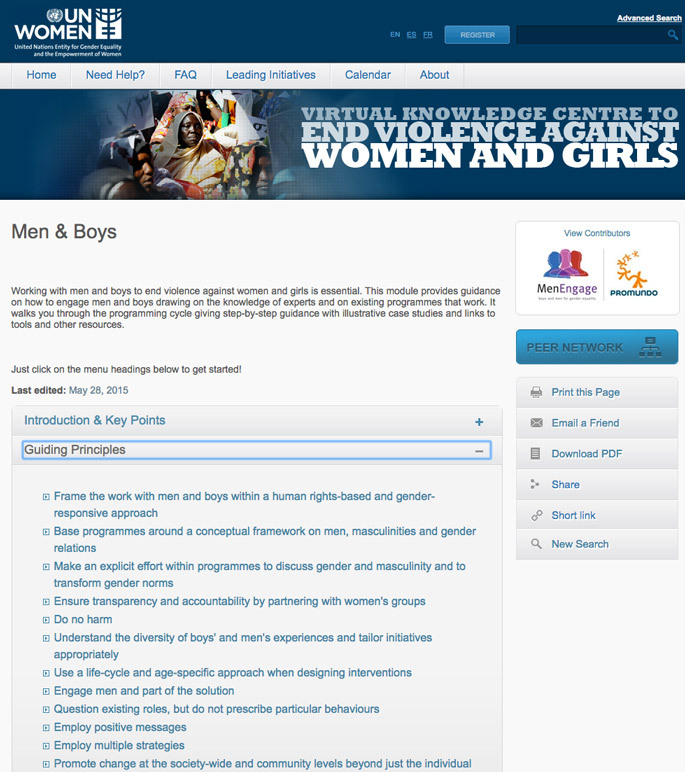 The national community of practice incorporated male role models in varying ways, to promote healthy masculinities and men and boys positive role to end gender-based violence. Whether it be prominent sports figures/athletes, local musicians or Elders. Role modeling can also be considered as part of social norm change, as we create new narratives which challenge toxic masculinity, and promote healthy, equitable and positive gender identities. 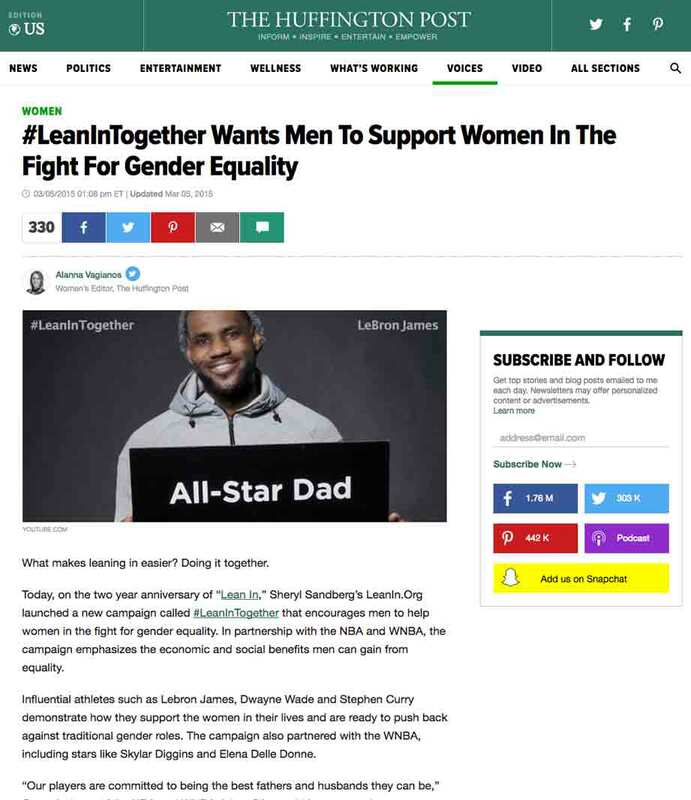 Identifying male role models for your programming should also be vetted effectively, to ensure their messaging is positive, grounded in feminism and intentions are clear as to why they want to speak out on gender-based violence issues. Consider asking how local women’s organizations perceive a prospective male role model for your program. If a workshop approach is taken, it’s important that participants feel safe to share their experience and personally connect with the content. Establishing ground rules and values which you’ll have as a group can help to foster this safe space. Upon unpacking toxic masculinity and hurtful gender norms and identities, new gender equitable norms should emerge. It’s essential that male program participants are inspired to think beyond the “man box”, and identify ways in which they can support gender equality in all aspects of their lives. Safe space can allow for both challenging and transformative conversations focused on gender, ultimately to explore solutions to ending gender-based violence. Utilising the trust created from these safe spaces, male accountability can be fostered to encourage gender equitable behaviours, and shifting dialogue to action. As the field of gender-based violence prevention continues to evolve, so do gender identities. Asking participants their preferred pronoun, and not assuming participants fall into either male or female gender identities is essential for creating safe space and meaningful dialogue. Expanding and opening participants understanding of their own gender identities can encourage meaningful dialogue on healthy masculinity. Also critically important is to meet participants where they’re at, in their own understanding to truly illuminate gender (as oppose to academic/theoretical approaches). 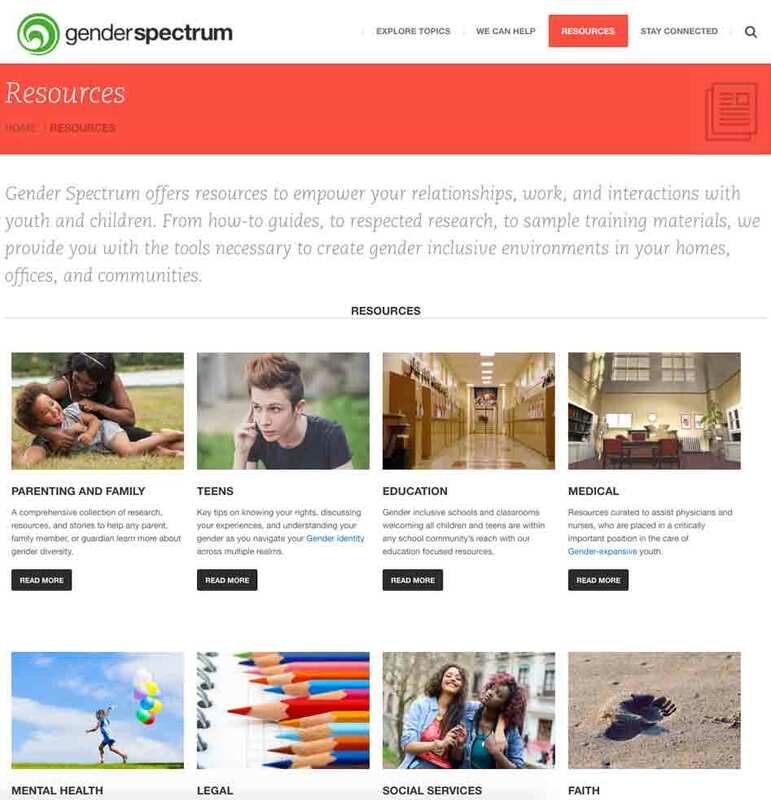 To learn more about gender identities, visit Gender Spectrum and see the Gender Pamphlet from Students Commission of Canada. As opposed to considering evaluation towards the end of the GBV prevention initiative, consider weaving evaluation and reflective practice throughout the program. Ensuring thoughtful and systematic evaluation can also build accountability with women’s organizations, as it communicates your commitment to impactful programming. In developing an evaluation plan, consider reviewing the National Evaluation Framework to identify core outcome areas, and sample indicators which you can use for your program. Actively engaging program participants within the evaluation process can also build ownership of the initiative. Meaningful evaluation can also ensure that gender-focused discussions are as highly engaging as possible, resonating and inspiring program participants. It is encouraged that core outcomes and indicators be developed at the beginning of the program, however they should also be flexible in adapting to changing project realities. Embedding a focus on enhancing gender equitable attitudes and behaviours amongst male-identified participants should remain consistent, despite potential changes in the project. In reviewing the collective impact of the national community of practice partners, the overwhelming majority of initiatives engaged both male-identified and female-identified participants. It is recommended that a co-facilitation approach is taken, with male, female, across gender spectrum-identified facilitators. 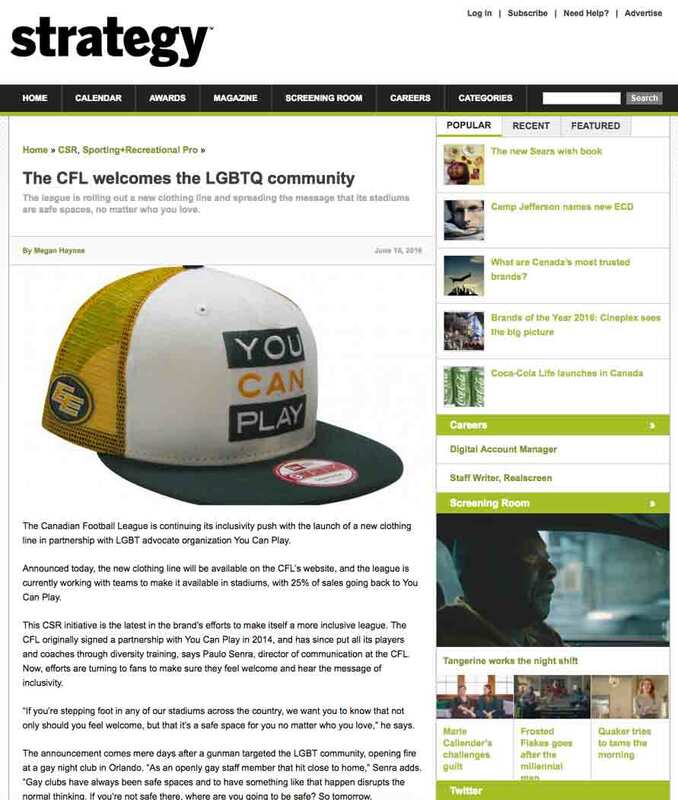 The co-facilitation can also mirror healthy and respectful relationships to participants. 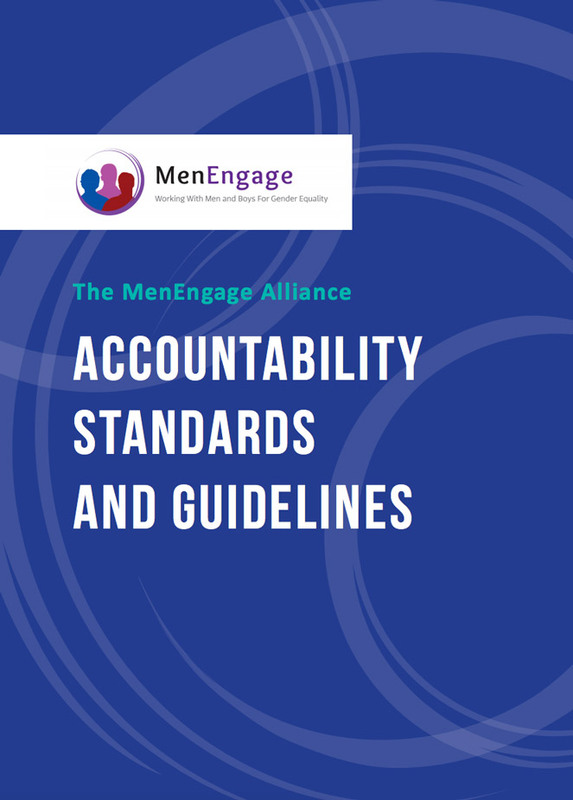 There are some inherent issues with male-only groups, as this can negate women and girls experience, and does not build trust or accountability with women’s organizations. It should also be noted that male-only groups can also be beneficial to engage in more honest conversations which men may not feel as comfortable having in mixed gender spaces. Utilizing social media platforms identified by program participants can ensure relevance and broader promotion of healthy masculinities and gender equality messaging. 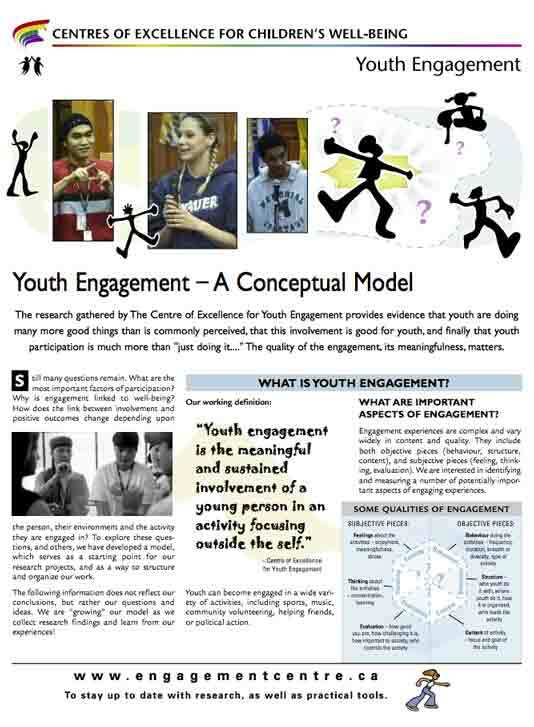 To learn more about approaches in engaging men and boys, the national community of practice case studies feature diverse approaches. 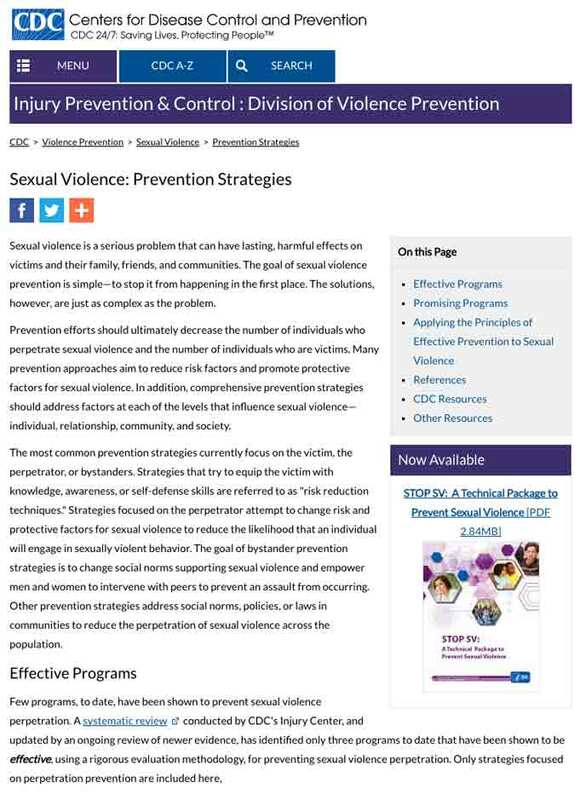 Also visit the Centers for Disease Control and Prevention for specific strategies to prevent sexual violence. There is not one way to define or experience masculinity. 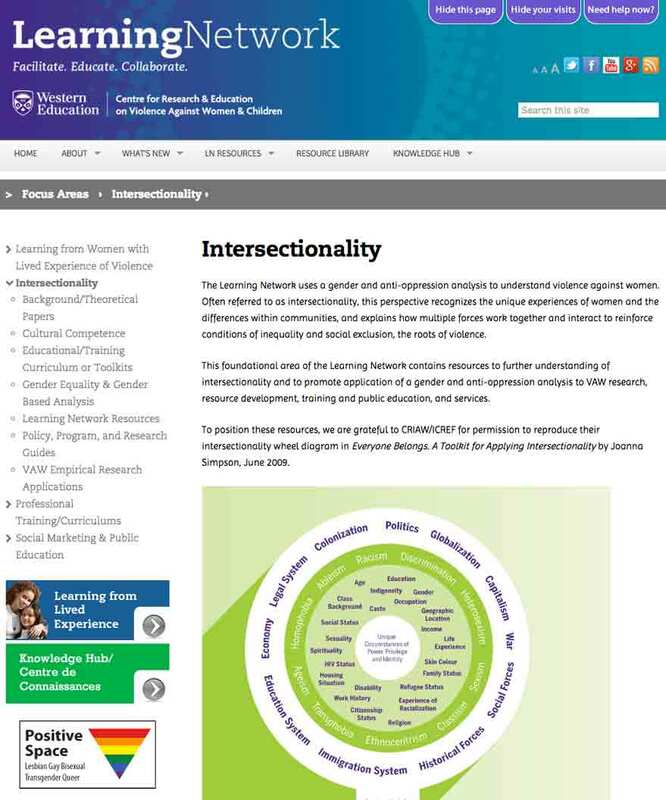 Applying intersectionality with men and boys, also recognizes differences in power and access to resources across race, class, sexualities, abilities, and age. Cross-cultural approaches, and indigenous worldviews should be honoured within prevention initiatives, and should be woven into all aspects of project planning. 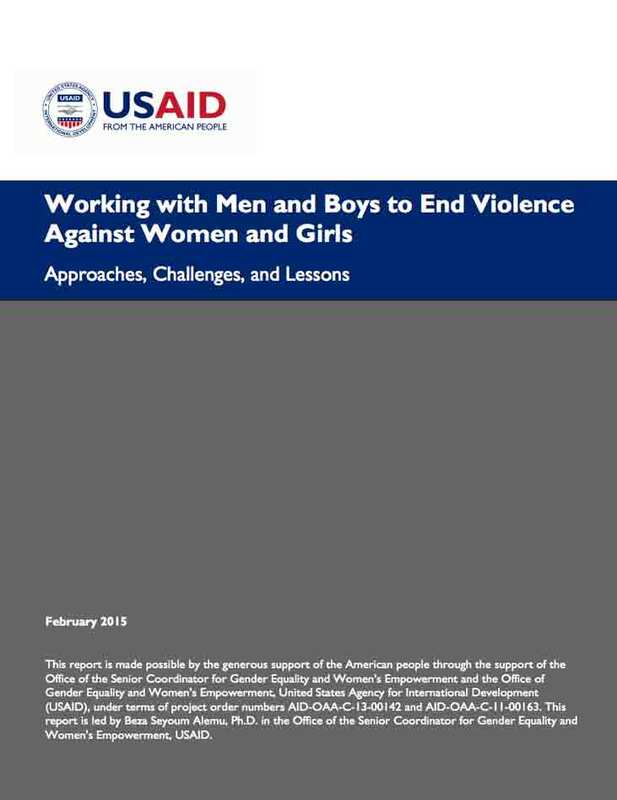 USAID (2015) explores the idea of culturally compelling masculinities as an essential approach in engaging men and boys, as gender equality can be illuminated across cultures. Thinking about, and expressing masculinity varies across cultures, ensuring GBV prevention approaches values this diversity is essential in truly being effective and meaningful for male-identified participants. Increasingly sporting institutions are engaging in gender equality and gender-based violence dialogue and action. 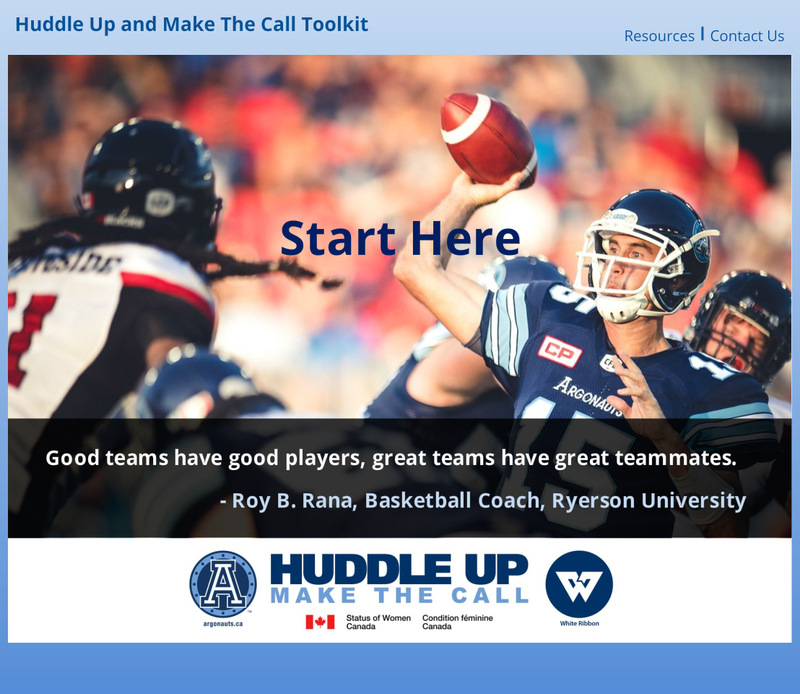 Leveraging the popularity of professional, and amateur athletes to encourage other men and boys to challenge toxic masculinity and see that gender equality is mutually beneficial has shown promising results. 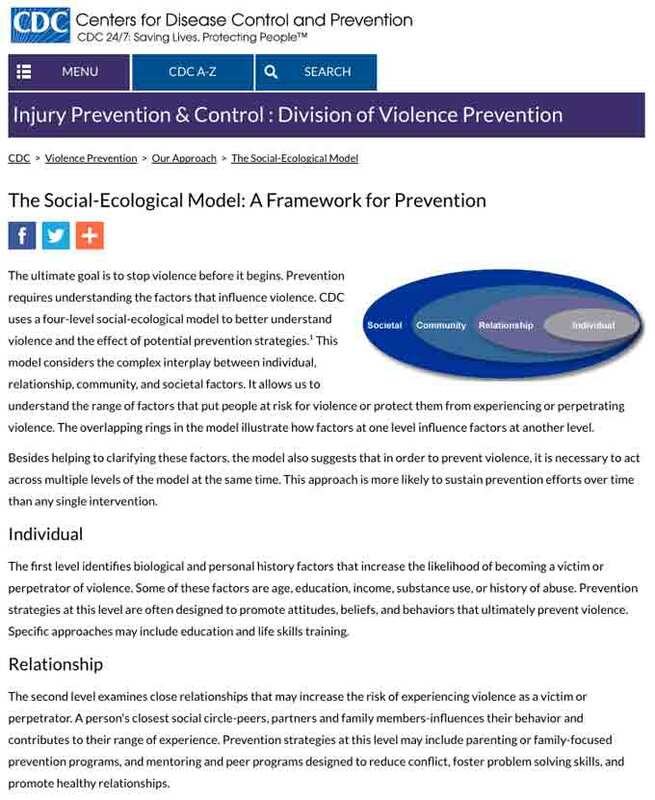 This approach challenges “hyper-masculine” space, and instead can profile the positive and supportive roles men and boys can play to be a part of the solution to gender-based violence. 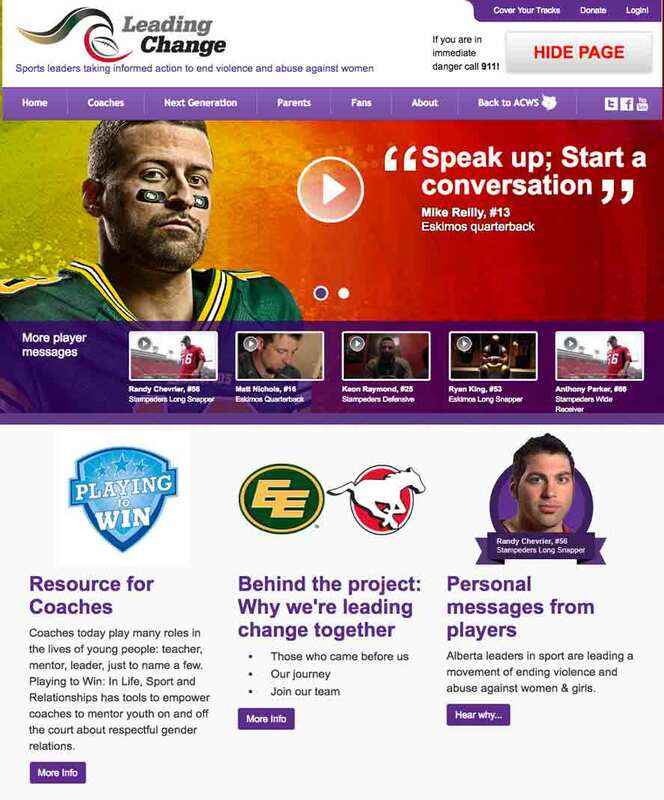 It’s also critical that athletes are properly vetted, and have knowledge regarding gender-based violence (prevalence and root causes) prior to engaging with youth. It is now widely encouraged within male engagement initiatives that seek to eliminate GBV that clear linkages should be made to broader social movements. Anti-poverty, Black Lives Matter, LGBTQ2S, sexual and reproductive rights, climate justice inherently all want to challenge toxic ideas of masculinity (dominance, “power over” and entitlement), towards the promotion of justice, inclusivity and well-being. Ensuring the male engagement initiatives have both ties to one’s personal relationships (ie. importance of consent), and to broader social movements, illuminate how toxic masculinity plays out (across the ecological model). Acknowledging that gender-based violence is rooted in larger structural inequalities and patriarchy is also essential for male-identified folks to effectively understand the root causes of violence against women and girls. 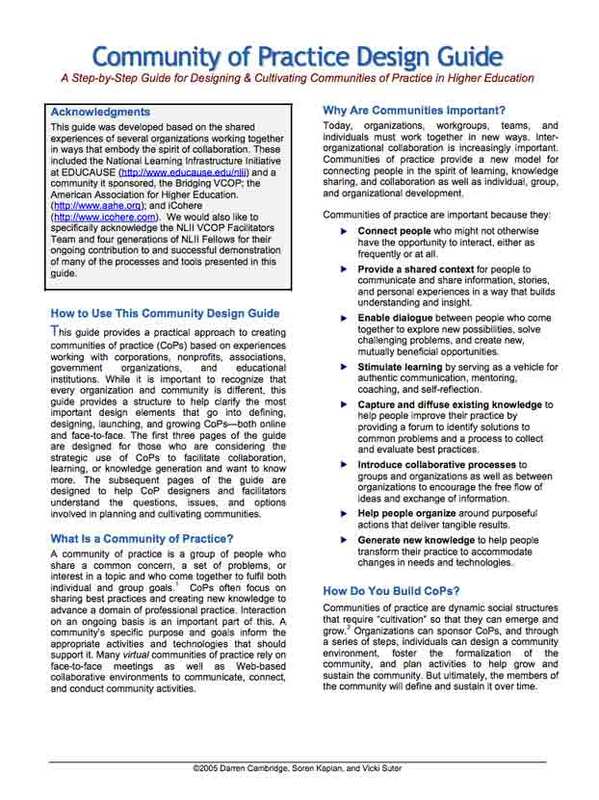 The national community of practice main function was to connect organizations throughout the roll out of the nine male engagement initiatives. 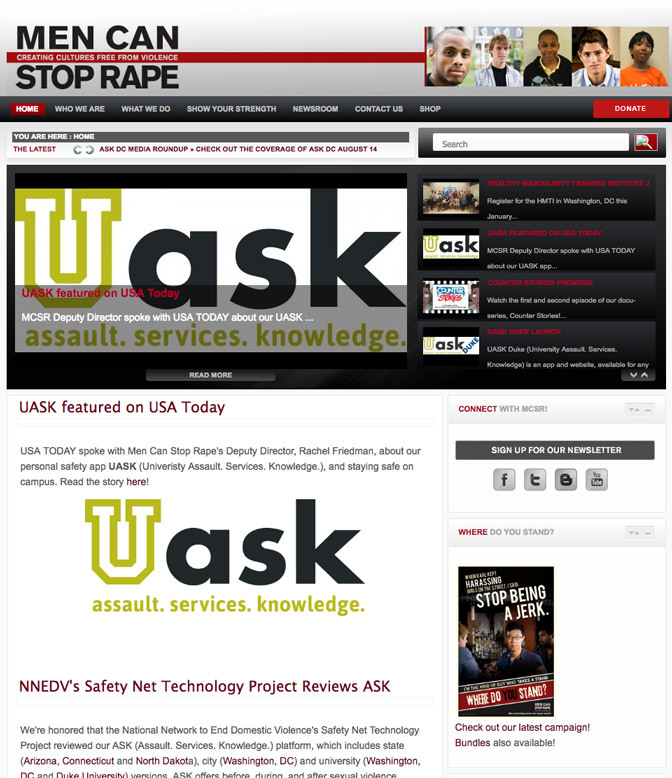 Through quarterly web conferences we conducted “nation-wide check ins (sharing program updates, one challenge and one enabling factor); collaborated on the development of an evaluation framework specific to male engagement, featured guest speakers, and encouraged presentations from members of the COP to share their approaches. 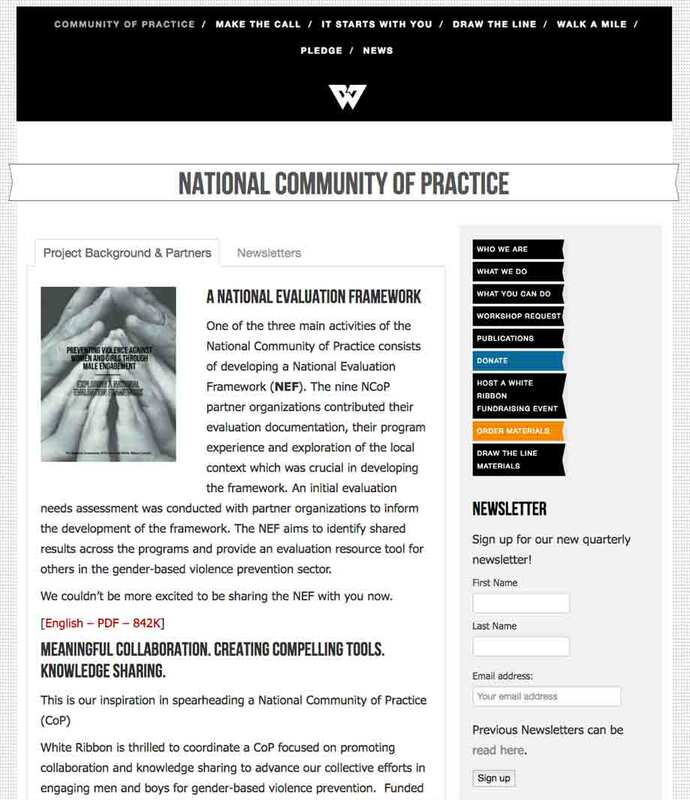 To learn more about the national community of practice and read our newsletters, visit our page here . 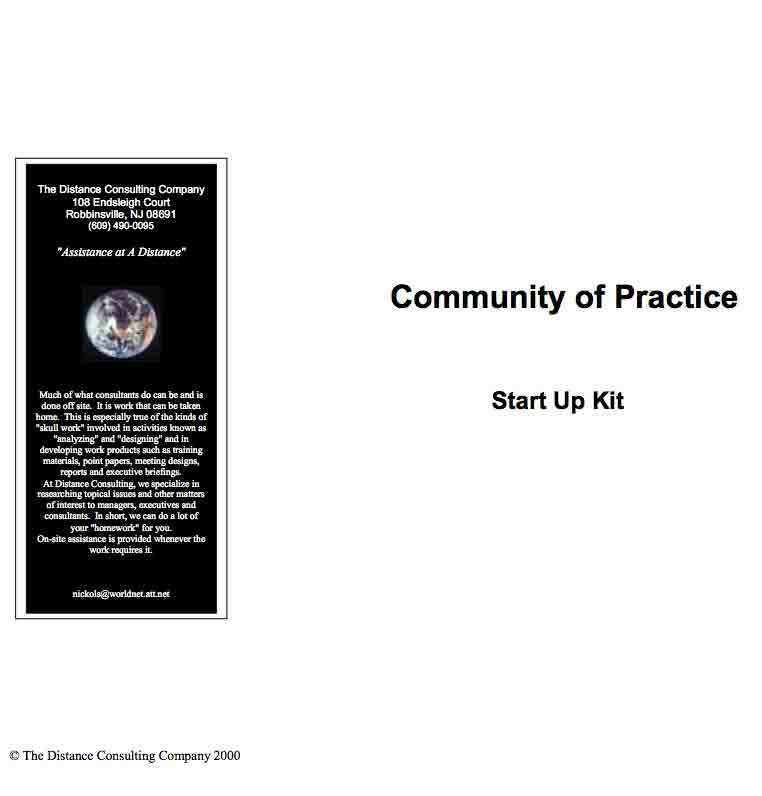 To learn more about starting a community of practice, visit the Start-Up Kit , or Design Guide.